Have you ever tried those kind of applications on Facebook. 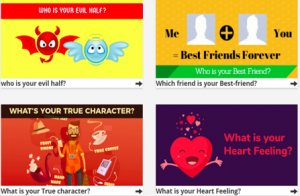 You may have seen “What will you be in next 20 years?”, “How much your partner love you?” or love calculator quiz on Facebook. These applications are very attractive to the viewers to click and get the answer. And also, it is really viral. Because after trying the answer, this application will ask to share the result on your timeline and then you will surely do it. All these quizzes fall under Facebook viral quizzes. Behind these questions, there are websites which host php scripts to generate random (sometimes logical) results. So you may want to ask me what are the purposes of running those kind of websites. The 1st answer will be “Money”. Because of it’s viral nature, it can get tons of traffic to the websites. If you have ads network on the website, you can earn a lot of money from ads. Your earning will be limitless if you have reasonable amount of traffic. There may be other answers, like viral marketing about your brands, getting insights of the audience etc. But I hope that the most important reason will be making money online from Ads. 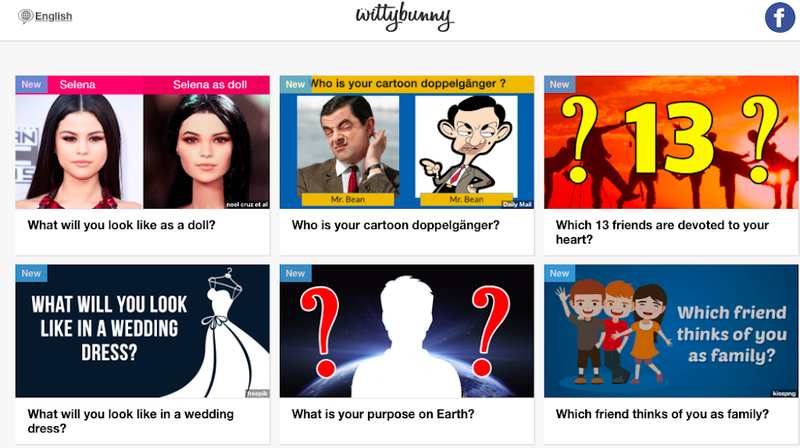 The most famous quizzes websites are www.nametests.com , www.wittybunny.com , www.vonvon.me etc. There are many other websites, some are used as a global site, but there are many country based websites. With this blog, I will write about how to create those kind of websites even if you don’t know about coding. I came across several quizzes scripts which can be used as www.nametests.com or www.wittybunny.com. With these scripts, you will be able to create your own Facebook viral quizzes websites.